This page sets forth rules governing the appropriate and inappropriate use of the American Land Title Association’s marks, including ALTA, National Title Professional, and NTP. Individuals granted the NTP Designation by ALTA must comply with these Rules of Use. Failure to comply with these rules may result in disciplinary action and/or revocation of the designation. The following sets forth basic rules regarding the manner in which the ALTA and NTP marks must be displayed and used. The marks must be displayed in a certain manner so as to avoid a potential loss of rights in the marks. Do not use periods with the marks. Use the ® symbol. The symbol only needs to be used once per document or item. It does not have to be used multiple times in the same document or item. Always associate the marks with the individual granted designation by ALTA. Individuals who have met ALTA's requirements for designation are authorized to the exclusive use of the ALTA and NTP marks. 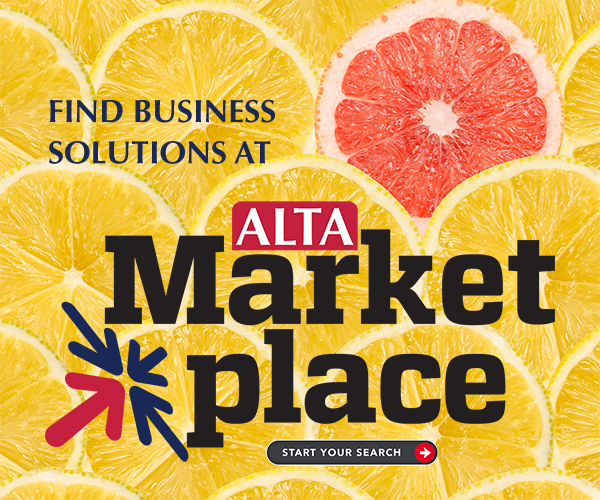 ALTA encourages designees to use these marks on their websites, business cards, signatures, and marketing and other professional materials to distinguish themselves and receive acknowledgment of their designation. The proper usage of the marks is a crucial part of your communications to the public, and when properly used, they represent standards of excellence for land title professionals. The marks are not the equivalent of an educational degree or a title. Instead, the marks represent that you have met the standards set forth by ALTA, and you are therefore entitled to use the NTP mark in conjunction with your name to demonstrate this accomplishment, in accordance with the rules set forth herein. ALTA retains all trademark, and other ownership rights concerning its marks. ALTA therefore reserves, and may use, the full range of legal remedies and sanctions available under applicable laws and policies to protect the marks. Infringement of any ALTA mark will be challenged. Questions concerning the proper use of the marks should be submitted to ALTA in writing. Each designee accepts and assumes sole responsibility for understanding and satisfying all applicable legal and professional regulations and requirements, including those requirements which may apply to the use, display and/or advertising of a mark. ALTA assumes no responsibility i connection with the application of such legal and professional regulations and requirements. Permission to use the marks are limited and personal to the designee, and may not be transferred, assigned, or otherwise used by any other individual, organization, business, or entity. Following receipt of information that an inappropriate or unauthorized use of the ALTA or NTP marks may have occurred, ALTA will determine if responsive actions will be taken. Designees are required to cooperate fully in the review and resolution of such matters. ALTA may take any responsive actions or appropriate measures to correct a violation, in ALTA's sole discretion.